Filmmaker Rich LaVere will be a featured guest on “Twin Tiers Sunday” with Renata Stiehl on WENY TV. 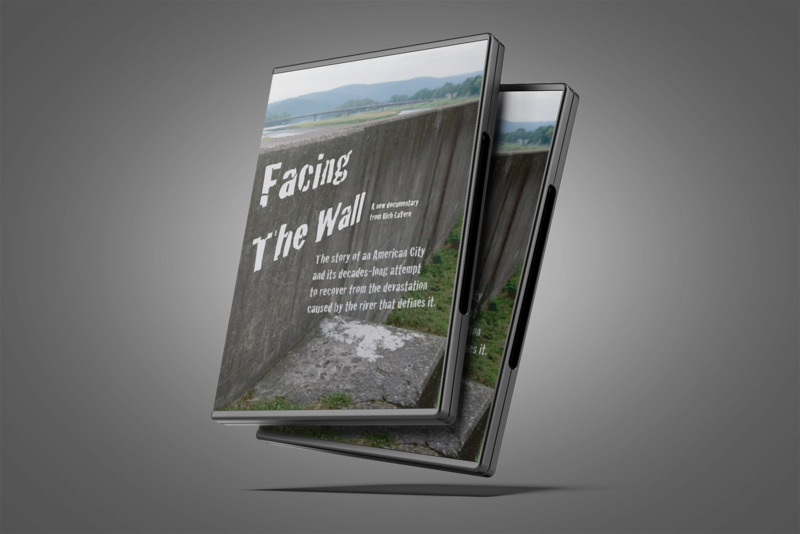 The show will air on June 17, and “Facing The Wall” is the final topic on the show. Show times are Sunday, June 17 at 9:00am and 11:00pm on WENY-TV ABC & 11:00am and 11:00pm on WENY-TV CBS. Tune in on Sunday! June 14, 1972: Hurricane Agnes is “born” as a tropical depression over the Yucatan Peninsula. From these inauspicious beginnings, she would go on to become the first named storm of the 1972 season. June 15, 1972: Agnes gathers strength, but still holds 30-35MPH winds. She’ll grow up fast, though, making her transition into a tropical storm during this evening. June 16, 1972: In the early morning hours, the Tropical Depression off the Yucatan Peninsula strengthens into a Tropical Storm and is given a name: “Agnes”. The Atlantic hurricane season is now officially sixteen days old. June 17, 1972: Tropical Storm Agnes threatens Cuba, but only passes by the far Western edge of the island. June 18, 1972: Tropical Storm Agnes becomes the first named hurricane of the 1972 season. June 19, 1972: Hurricane Agnes reaches its maximum sustained winds of 85 mph, and makes landfall near Panama City, Florida with winds of 75 mph. While in Florida, she spawns a reported 26 tornadoes, causing a reported $4.5 Million in damages and six deaths. No hurricane force winds, however, are recorded in Florida. In the early evening hours, Agnes weakens and is once again a tropical storm. June 20: Tropical Storm Agnes continues to weaken and is downgraded to a tropical depression over North Carolina. Some minor flooding occurs there; damage to SC is a relatively small $50,000. The National Hurricane Center issues its final bulletin on Hurricane Agnes. June 21, 1972: The storm formerly known as “Hurricane Agnes”, now a tropical depression, picks up strength and becomes a Tropical Storm off the Eastern Coast of NC. She starts heading north towards New York City.